The American company Amazon conducts surveillance of millions of people around the world through a smart Echo column with voice assistant Alexa. Details strike the imagination: employees of the company hear bank card numbers, passwords, singing in the shower and much more. Why does Amazon have such unprecedented surveillance? News of what Amazon is doing with the Echo column shocked the western community. Many media outlets came up with headlines that the company invades people's privacy in the most unprincipled and unbelievable way, receives confidential data and behaves akin to the US National Security Agency (NSA), secrets of which were given by Edward Snowden. It turned out that the people who bought the Echo smart column with Alexa voice assistant also purchased a bug, a device that allows you to listen to them 24 hours a day, 7 days a week. For some, Amazon’s behavior was expected — in today's digital world, for example, cookies monitor a user on the Internet, and spyware and malware use data from these files to hack personal user accounts. Therefore, it would be naive to believe that if your home is a device with a microphone that is connected to the Internet, no one will hear you, except for the digital stuffing of this device. Recently, however, in the light of scandals with leaks of users' personal data through Facebook, the topic of information protection is gaining momentum. Moreover, this issue is closely associated with politics - after all, the biggest Facebook leak, which affected more than 80 million users, had political goals, as it was organized by a company working for Donald Trump's campaign headquarters. Why does Amazon follow in the footsteps of Facebook, how legitimate are the company's actions and how can it harm users? As Bloomberg and CNN reported, Amazon hired thousands of employees around the world to analyze audio messages that were secretly broadcast by the Echo column. It is reported that the company is doing this in order to improve the service of its voice assistant Alexa. An extensive team of specialists listens to recordings made by a column in private homes, offices, firms and enterprises. These messages are then annotated and classified in order to train Alexa to work even better. 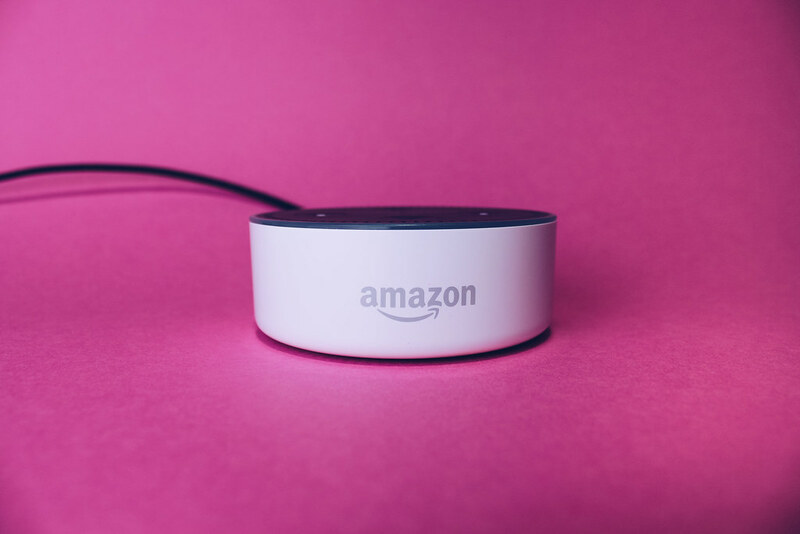 According to Bloomberg, in its marketing campaign, Amazon reports that Alexa "lives in the cloud and is constantly learning." This refers to the "cloud" principle of data storage and dissemination, which allows multiple units of information to be collected in one center on an ongoing basis. Amazon hired thousands of employees worldwide to process the data, including the US and Costa Rica, as well as company center employees in Romania. Every day, each employee listens to up to a thousand records, confirmed Bloomberg two sources office in Bucharest. According to CNN, mostly ordinary and unremarkable voice commands come to data centers, but from time to time employees hear records of a “potentially criminal nature”. And besides this, they share messages about records that are difficult to distinguish through internal chats with each other, and also laugh at some files. The channel received a comment from an Amazon employee who confirmed the large-scale tapping of users. He noted that this is done solely in the interests of improving the Alexa service, so that he would better understand human speech, the “natural language” of users. The employee also assured that the company strictly abides by the principles of non-proliferation of confidential data. Bloomberg reports that Amazon allegedly does not have a data personalization system, since it does not own the full addresses of users, but knows the serial number of the device and the name of the account. It is also noteworthy that the Echo speakers microphones are very sensitive: employees say that they often hear recordings like “inept singing of a woman in the shower”, a crying child, and so on. It would seem that the goals are absolutely clear. It’s as if you were using your car, but from time to time you would let an employee of a manufacturing company ride it, so that it would fix the problems on time and make the car even better. But let's be honest: the richest man in the world, Jeff Bezos, installed microphones in at least 100 million homes around the world, hired a large staff to collect data, set up special data centers to process incoming information, and now speaks of good goals. Does it remind you of anything? Amazon founder Jeff Bezos is still the richest man on the planet. Forbes estimates his fortune at $ 151.6 billion. The guru of the IT industry and online commerce continues its triumphant march on Forbes ratings. The magazine in 2018 recognized him as the leader of the top 400 richest Americans, the richest man in Washington State, placed fifth in the list of the most influential people of the year and second in the list of the richest people in the IT industry (Bezos was only slightly behind Bill Gates). Meanwhile, this richest man said on April 11 that Amazon is facing hard times: the company is updating technical solutions, which will cost billions of dollars in investments. Bezos, in a letter to shareholders, urged them to prepare for "big trouble." And the company's chance of preserving future profits is Echo. Now it becomes obvious why Amazon does not consider anything to promote its project. The company is not interested in the consequences of interfering in the personal lives of people, they are not interested in their concerns and real needs. The company through Echo creates a huge array of data, which can then be used for any kind of purposes. Will Alexa Voice Assistant Be Better? Quite possible. However, what about leaks? After all, they occur regularly. Cloud storage is a constantly growing huge database, divided into sections. Having gained access to it, intruders, hackers, thieves, political strategists and private corporations will also receive a very good means of using people for commercial or other purposes. This and trade, advertising, influence on public opinion. The problem in this situation is only one. Amazon cannot be caught by the hand. Even if the user wants to complain about the company's actions, he will have to prove in court that his column directly collected personal data, that the data center received and processed them. Finally, that these data have been classified and stored. As you understand, to prove all this is almost impossible. This example shows how a global corporation is higher than an individual and his interests. And also how much the corporation is even higher than the judicial system due to the inability of the latter to take into account all modern high-tech processes. And as long as companies like Amazon successfully sell people new items like Echo, until reliable barriers are created to protect them from covert actions, the consumer will remain those who are processed, put digital experiences and from whom they profit.